I like ice cream. In fact, I like ice cream a little too much. I'm the girl that must eat every drop of ice cream in her cup and must do so before any of it melts. I'm not even exaggerating. In March, Aaron and I went to Cold Stone Creamery and each got a "Love it" sized Birthday Cake remix. I had mine completely gone before we even got to the car. It was a two minute walk. So today at lunch when the topic turned to ice cream, I was pretty stoked. I've been craving some ice cream for the last two weeks but won't buy a gallon because of the previously mentioned problem. This convo quickly squelched my craving. 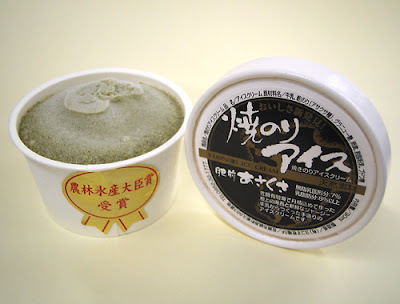 The guys started talking about the odd ice cream flavors they'd run into in Japan. I was horrified by some of the options. Ox tongue? Eel? Cactus?! I was convinced they were lying to gross me out. Guys do that. Guys do that a lot. The list also had pictures just in case you're a skeptic like me. 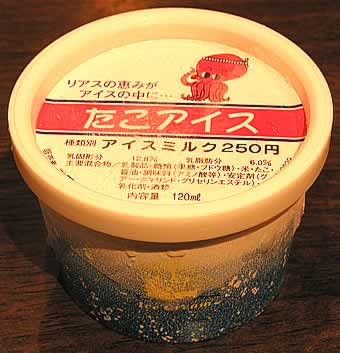 Most of the flavors are from Japan. However, there's some from the US too. I saw Bacon Ice Cream on there. I'm pretty sure Americans are the only ones ballsy enough to try to pass off something like Bacon Ice Cream. We think bacon belongs on everything...and it does. Just not ice cream. So after seeing this, I think I'm over my ice cream craving. My stomach is still doing flips over that Raw Horse Flesh flavor. 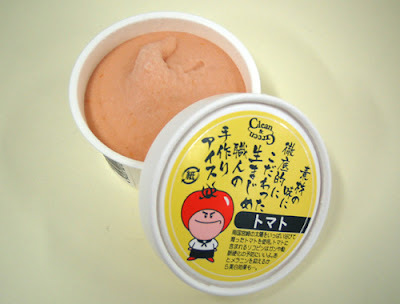 I've tried tomato, rose and violet ice creams, and the taste is really mild. Not bad...not great either tho. As for the rest, I'm totally with you--GROSS! What are these people thinking?? Way to ruin ice cream! That is wrong. Raw Horse Flesh? Chargrilled Seaweed? I feel violated for some reason. Wow, I can't even imagine being a company to MAKE money and produce something as odd as those. I'll just stick with my chocolate ice cream from Dove!